There’s a good chance that you have bought a buttery yellow tube of Clinique’s Dramatically Different Lotion at some point in your life. Or perhaps when you were a child, you saw a series of yellow, green and purple Clinique bottles on your mother’s bathroom vanity. Clinique is a skincare brand that has been around for decades, and is synonymous with a clinical approach to beauty. Here’s a closer look at Clinique, some of its best-selling products, and is it right for you? 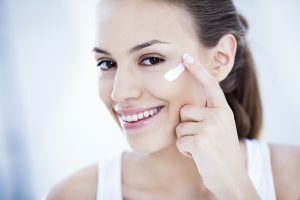 The idea for Clinique was sparked in 1967 article, after US Vogue published an article called “Can Great Skin Be Created?” The story featured Manhattan dermatologist Dr. Norman Orentreich, whose beauty philosophy was based on the idea that anyone could have good skin if they followed a proper skincare routine. The article caught the eye of Evelyn Lauder (daughter-in-law of famed beauty mogul Estée Lauder), who joined forces with Orentreich and US Vogue editor Carol Phillips to develop a skin care brand. The result was Clinique, which launched in 1968. It was one of the first brands to bring a dermatological approach to skincare. What made Clinique different is that it avoided any ingredients that could potentially irritate the skin or cause allergies, such as fragrance. Even today, Clinique products are free from parabens, phthalates and fragrance. Another factor that made Clinique unique is that instead of taking a one-size fits all approach to the products, the Clinique line was meant to evoke a one-on-one consultation that patients would get at Dr. Orentreich’s practice. The company created the “Clinique Computer,” which was a non-electronic display box with sliding knobs that helped customers pinpoint their skin type. The idea was a hit and now Clinique is one of the best-selling skincare brands in the world. The customization concept lives on in products like Clinique iD Custom-Blend Hydrator Collection. Customers pick their hydration base and add a cartridge to address their main skin concern, such as uneven skin tone or fine lines. Clinique is also known for its generous “gift with purchase” policy. Clinique sells a wide range of makeup, skincare and fragrance, as well as a men’s line and an acne collection. Here’s a closer look. Take the Day Off Cleansing Balm – This cleanser transforms from a solid balm into a silky oil upon application. Dramatically Different Hydrating Jelly – An offshoot of the popular Dramatically Different moisturizer, this formula is an oil free, lightweight gel. Moisture Surge 72-Hour Auto-Replenishing Hydrator – This gel-cream contains hyaluronic acid and activated aloe water. Repairwear Laser Focus – This serum is designed to smooth and improve skin texture while plumping up fine lines. Acne Solutions Cleansing Foam – Packed with acne fighting ingredients such as salicylic acid and acetyl glucosamine, this cleanser can be used twice a day. Even Better Clinical Dark Spot Corrector – The active ingredient in this dark spot corrector is gyokuro green tea. Even Better Makeup Broad Spectrum SPF 15 – The Even Better foundation is formulated to give medium coverage while helping to improve the skin. The foundation has a creamy texture. Clinique Sweet Pots – Two compartments in this lip pot house different products- a sugar-smoothing scrub on one side, and a sheer, tinted moisturizing balm on the other. True Bronze – This pressed powder bronzer is designed to give a sun kissed glow. Clinique Happy – The brand’s original fragrance has bright citrus notes of grapefruit and bergamot. Aromatics Elixir Perfume Spray – This scent is more complex, with notes of rose, jasmine and ylang ylang. Clinique For Men Face Scrub – This exfoliator should be used pre-shave to prep the skin. Clinique For Men 2 in 1 Skin Hydrator + Beard Conditioner – A multi-purpose product that is designed to improve the skin and soften beards. What is the Clinique 3-Step Skin Care System? The concept behind the 3-Step Skin Care System is a basic one that involves these essential steps: cleansing, exfoliating and moisturizing. Clinique’s philosophy is that each step helps the skin prepare for the next step. Within the 3-Step system, each Clinique’s product is organized by skin type. Very dry is Type 1, Dry/Combo is Type 2, Combination Oily is Type 3, and Oily is Type 4. What Are Some Best-Selling Clinique Products? Dramatically Different Moisturizer – This yellow moisturizer is Clinique’s best known product. According to the company, one bottle of it is sold every 15 seconds. Redness Solutions Daily Relief Cream With Probiotic Technology – This cream is designed to calm skin and reduce redness. Clinique Pep Start – The Pep Start collection is a brightly colored group of multi-purpose products, such as an exfoliating cleanser, and a hydrating lip balm. How Much Are Clinique Products? Clinique products are on the pricier side, given they are sold in department stores. The Repairwear Laser Focus serum retails for $80, and the Moisture Surge 72-Hour Auto-Replenishing Hydrator is $78. Redness Solutions Soothing Cleanser With Probiotic Technology is $23. What Ingredients Are In Clinique Products? Clinique products are formulated with straight forward beauty ingredients such as hyaluronic acid, which holds up to 1,000 times its weight in water; salicylic acid in its exfoliating and acne products; caffeine and vitamins A and C.
Where Are Clinique Products Sold? Clinique is sold in more than 135 stores worldwide as well as in department stores such as Bloomingdales, Saks Fifth Avenue and Neiman Marcus, as well as beauty stores including Ulta and Sephora. When evaluating whether or not a product works, remember that everyone’s skin can react differently to the same product. One person’s miracle product could do nothing for someone else, or perhaps make them break out. Clinique is a brand that has been around for decades and has its loyal fans who appreciate the brand’s simple approach to beauty. A few of its products have generated plenty of buzz, such as the Chubby Sticks and Black Honey lipstick, as well as City Block. Clinique has also scooped up plenty of awards from beauty editors. Clinique Fresh Pressed Daily Booster with Pure Vitamin C 10% received an Allure Best of Beauty Award in 2018. In 2019, Clinique iD Custom-Blend Hydrator Collection was nominated for a Beauty Game Changer of the Year award from British Vogue. Clinique’s Even Better Glow was awarded a Beauty Style Award from The Times of London in 2018. What Are Some Alternatives to Clinique? Clinique may not work for everyone, and some people may not want to spend that much money on their skincare. Many of the ingredients that Clinique uses, such as hyaluronic acid, vitamin C and vitamin A, can be found in lower priced brands. 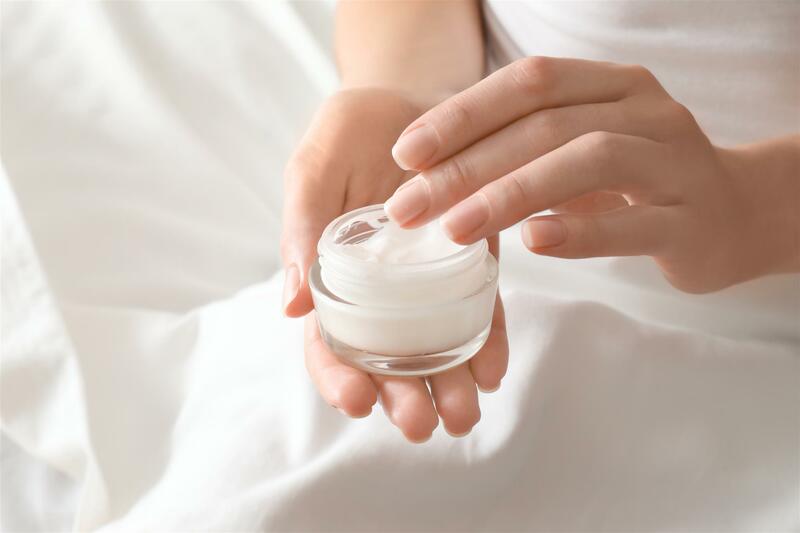 If you’re looking for a well-rounded skincare line, there are a few other brands to consider, including Formulyst and Advanced Dermatology. 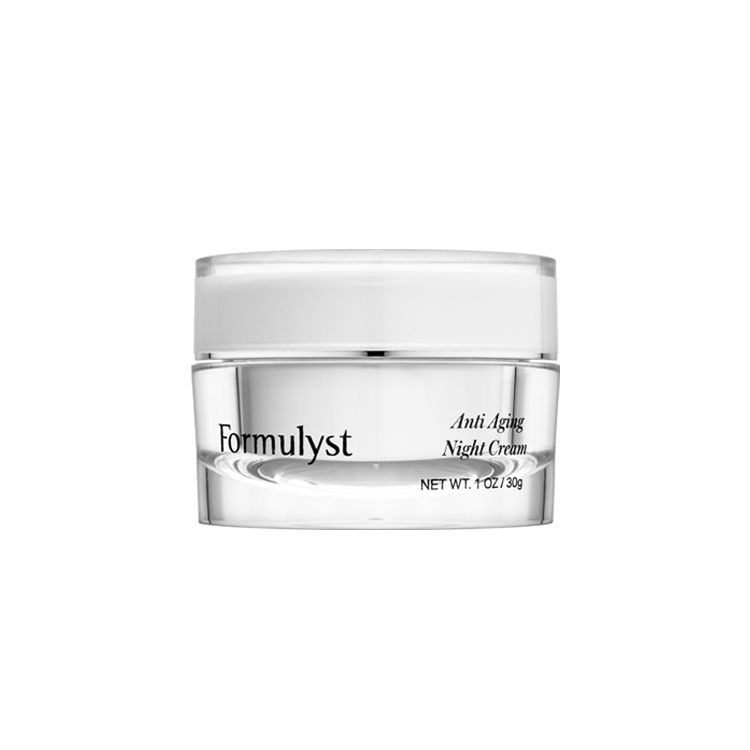 Formulyst’s philosophy is long-term and effective skincare. The brand wants to help its customers achieve their best looking skin, rather than covering it up with makeup. 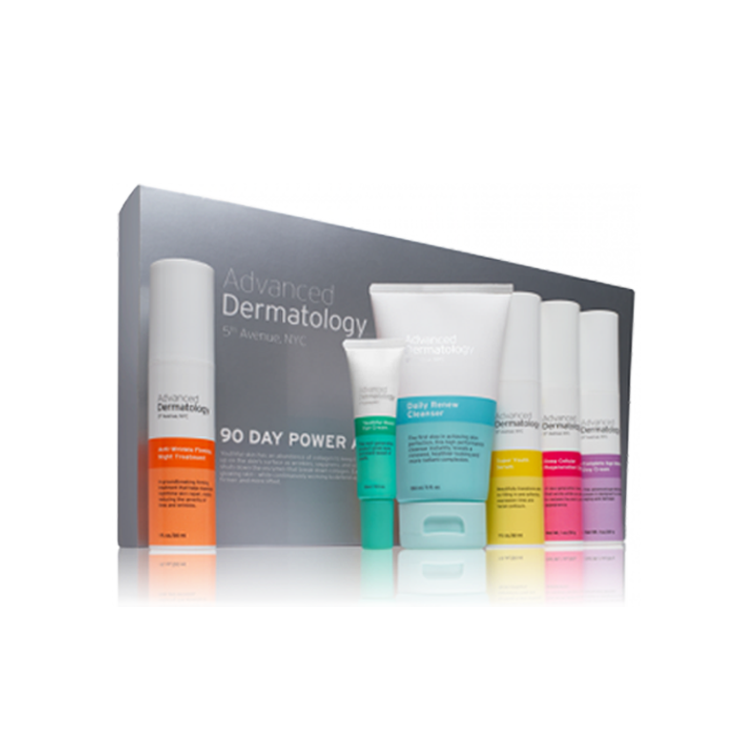 The comprehensive line of products targets everything from wrinkles to dark spots and dry skin. Dry, parched skin is no match for Formulyst Super Hyaluronic Water Moisturizer. The hero ingredient is hyaluronic acid, which occurs naturally in the body and can hold up to 1,000 times it weight in water. This lightweight, oil free formula works by attracting water to the skin and contains multiple types of hyaluronic acid – and delivers hydration without leaving skin feeling weighed down. This did not work for me. It made my skin oily and make me break out. The first night I used it, I swear my skin was tighter. But I thought maybe it was just my imagination so I held off on writing a review. I’ve used it for a week now and it definitely feels a little tighter! CLINIQUE is the BEST skin care product line on the market. I have had acne prone skin ll my life and Clinique is the ONLY line that does not make me break out. I have been using it for 20 years and everyone thinks I like 15 years younger. Clinique DOES keep you looking young. I use the Turnaround cream it gets rid of dark spots and old skin, the foaming facial cleanser, the sonic cleanser and the moisturizer dramatically different for oily skin. Clinique is truly the best. I’m also experiencin the same problem. I purchased Clinique some 3 weeks back and been using it since. Even though it’s been only 3 weeks, my skin has broken out so badly which is unusual for my skin. I’ve been to the Clinique counter and they assured me that it is normal and I should continue using them and I should see the results soon. I’ve decided to use it for another week and if no results I will have to discontinue using them. Please tell me what you are currently using and has it been helpful? When u stopped using Clinique. Did you see a difference in your skin? I’ve been using Clinique for 15 years and love it. It take take some getting use to and months of redness and such, but after that beautiful skin appeared. It really transformed my skin. Now, that I’m getting older and starting to see some expression lines appear, I thought I needed to change my whole skincare routine/line. I did and oh my goodness what a mess. I went from expression lines to wrinkles. I’m not sure what happened, so I went to a dermatologist that told me if my skin was different and more mature like others my age, she would suggest something, but Clinique is working great and to go back to it, and I have about 10 more years before needing her skincare lines. That made me feel fantastic! So back to Clinique I went! It took about 2 weeks, but m skin is back and no wrinkles. I love the 3-step process and all about the eyes! Clinique has always been a little out of my price range. I am a woman in my early 50s and lately my skin has been looking tired, red and blotchy. Nothing I did helped and various skin care products did not help. I came across an ad on Facebook quite by accident on Clinique Skin Care Red Solutions. After some on-line research, I thought I may as well. They have turned out to be THE BEST products I have ever purchased for my skin. The redness has toned right down, practically gone altogether and my face has never looked better. I had one friend recently who told me how young I was looking and another friend who told me I was glowing – all within a week of using the products. Thank you Clinique. I so LOVE your Redness Solutions range. I have had the exact same problem! After using the Clinique face wash for 10 weeks my face just got worse and worse and I’ve been so embarrassed, I thought it may have been my eating habits but that has not changed in over 10 years! I am 27 and am experiencing the worst break outs ever. I never had this problem in school. Can you please tell me what products you are on now and have they worked? I’ve recently purchased the Clinique 3 step cleansing system from Clinique at Dillards. They told me that my skin type is combination oily 3. I’ve been using it for about 3 weeks now, and my face is now extra dry. Is this normal because it is winter? Or is it possible that they got my skin type wrong? If so, is there way that I can bring it back to Clinique to exchange it for the right one? Or do I need to buy a whole new set? Hello, my name is Vanessa. I’ve been using Clinque’s 3 step ance solutions for about four days now. The first day, I started using it wasn’t so bad but after the third day, my face started feeling really dry and the skin directly above my cheeks close to my eyes started peeling as well as, the skin around my mouth. Today, I woke up with four nasty looking scabs on the areas where my skin was peeling. Please Help! Any advice would be more than appreciated. I am 27 with an acne prone, sensitive combination oily skin, I also use clinique products, the clinique consultant to the Myers I go to needed alter the three step to custom fit my skin per se lol, I never had any problems with pimples when I was in way younger then suddenly at 18 I suffered from very bad acne and I got scarring. I am not sure if this would help but my daily skin routine starts with the foaming sonic facial soap, clarifying lotion #3 with the silver cap, anti blemish solutions all-over clearing treatment followed by the even better clinical dark spot corrector, these products work wonderfully with my acne medication (Epiduo) at night I would add a dab of the moisture surge gel cream and that leaves my skin supple when I wake up in the morning. These products last me 5-6 months so really I do get value for my money since you don’t need a lot to apply in your skin at all, I also use the Anti-Blemish Liquid Foundation and that seems to stay on me all day without having to re apply, hope this info helps. After reading all the comment’s about Clinique 3 step I have just had to buy. Thankyou Brigadoon I found your review so helpful and I love all the products in the 3 step,im just wondering is it the 7 day scrub you use once a week.My skin feels so smooth and bouncy so im sticking with this from now on. You did not say your age, type of skin, or area you live in – However, I have used Clinique Basic 3 step along with the Exfoliation scrub for over 45 years. I still get people stopping me and asking what I use – My skin Glows (even after menopause) Translucent and looks like it just had a drink of water. Trust me when I say “There is NOTHING” out there in skin products that will give you “Life Long Younger Skin” (Not just skin that looks great – but skin that truly is younger). I use the Mild Bar soap, Clarifying #2, & Dramatic Different Moisture+ (day and night) – 1x a week I use the Exfoliating scrub on a wet skin (this plains the skin) (all products are used from the chest, neck, & face (Don’t put the moisturizer in your T Zone) – The Bar soap gives you clean wonderful skin, the Clarifying gives you the fabulous exfoliation with its Salicylic acid (use with a cotton ball same areas “except” under the eyes) Then on to the drink of water for the skin cells Dramatic Different Moisture+ (it now has Hyalurant ) I only use Clinique Loose powder #2 (simply because my skin is that Fabulous I don’t need foundation). Yes Alllll so very simple – (I work with the Lymph system on a cellular & molecule bases – All of my clients are using Clinique And I know what the skin cells and body will use and won’t use – Also, one last thing – IF you have really oily skin – you only use the moisture in your dry areas – and use the #3 Clarifying – THE REST stays the same – When you go to the Clinique counter they will want to sale you everything under the sun – Tell them NO and only get the items I have outline above – You want Fabulous Young Beautiful skin – then follow what I have given you – HAPPY NEW YEARS!! I am currently using Estee Lauder face products and the bottles and jars are nearly finished. I so much wanted to try a few Clinique products. Having read so many reviews , not just on here but from other sources, a lot of negative reviews!!! Although Clinique is a poplular brand I’m having second thoughts on trying a new brand on my face! I was mostly interested in their new serum and face cream. It;s either this or stick to EL. The consultant was very friendly & appeared knowledgeable. She asked me a lot of questions & made a recommendation on the info I had provided. I did mention that in the past I had a reaction to the Dermalogica range, to which she reassured me that ALL Clinique products are tested on 100’s of people & even if 1 person has a SLIGHT reaction, they start the process again to determine which ingredient caused the reaction. I purchased the 3 step system along with their brand new Smart Serum. 1st few weeks – great. My skin felt clean. Still the odd blemish, but nothing unusual. Week 3-6 – This is where is started to go wrong for me. Breakouts along my jaw line, hair line & cheek bone areas. I approached the Clinique counter with my concerns & was reassured that this is perfectly normal. Persevere & in the coming weeks I will see improvement. My instincts told me to stop using the products, but I went on her advice – after all she is the expert right? By week 10 even my husband mentioned what a ‘mess’ my skin was. He described it as looking like a chemical burn in certain areas. Charming! I stopped using the Clinique range a few days ago. Already my skin feels better. It is an absolute mess to what it was prior to using the Clinique range though. I never had flawless skin, but even in my teenage years I never recall having such a bad complexion to what I am currently experiencing. I am almost embarrassed to go out in public. I’m aware I may be the minority, a lot of people swear by Clinique & to be honest I am disappointed it didn’t work for me. Fingers crossed my skin clears back to what it was prior, fine lines & all! Soap & water for me for me for a while..! First things first, LOVE CLINiQUE ! i never write reviews, never. I do read reviews and I read lots of them. I am 32 and I hadn’t had an all over acne break out since I was probably 14 years old. When I say all over I mean that my entire upper back, my chest, my neck under my chin half way up and every square inch of my face, my whole face in every pore had at the least a small pimple. I have been loosing my mind and for four months I have bought over 500 dollars in acne washes, spot treatments, from the stuff on Wal-Mart shelves to the stuff on Macy’s selves. I learned that in your early 30’s your skin changes due to hormonal changes from my doctor. But was not going to just settle and have acne so terrible that the feeling of washing my face made me sick at my stomach because I could feel every single little bump, People I am not stretching the truth at all. I have purple scars now just from the four month stretch that I am working on repairing now. My search lead me back to Clinique, which I had used in my early 20’s with amazing results for my very oily skin. I research so many products. Just so you know I had been using Este Lauder products exclusively for at least 10 years. I used the ANR every night and the perfectionist. I did like the way my skin felt in the mornings with the ANR. I wanted to tell you that in case you are debating between the two, Now, after the third month of a tourtured face, I was getting very depressed and withdrawn. I ordered me the 3 step for acne, man they were small little bottles, I went to a makeup store and found a gift box of repairwear, uplifting eye cream, uplifting face and neck cream. I on my 3 rd week of the three step and my face was clearing up great, of course it did get a little broken out but I could tell that it was a different break out than what I had been dealing with, I know now that it was because it was first cleaning my pores out so that it could really get to work stopping breakouts from even starting. Give it the two weeks people, it is a small price to pay for beautiful skin from week two on. Now I am on my, hear this, my 4th day of my repairwear set or eyes, face and serum, I took before pictures and let me say that when I prepare to put my makeup on in a few minutes, I am going to go ahead and take one of my after pics. I am AMAZED!!!!!!!!!!!!!!! My skin is baby skin soft. I have two little tiny bumps but they aren’t even red. I can tell that is the last of my pores being cleaned. I can not believe the results. I truly can not. I tried the repairwear to get rid of the purple scaring and for age prevtion measures, I feel that 30 is a great age to start. I would urge you to try this brand. I trust Clinique’s clinical trials and don’t think there are many companies out there that take measures like Clinique does. They are making more and more amazing products to fit any need. I owe them a huge THANK YOU. It has saved my skin and honesly saved my mental state of mind. I hope this review reaches one person who is having doubts and looking for something that makes them feel beautiful again. It helped me, I read reviews and someones review helped me decide. It does cost a little more that drug store brands, but you will spend it anyways having to buy different stuff to cover every need. Try Clinique. They do specials almost everyother day, I only order my products on days they have free samples, that helps me get to try stuff that I might end up LOVING. Hey! I just wanted to say, I’ve been using the clinique three step treatment plus the small blue bottle of acne solutions clearing gel. And it works for me! If you have a acne problem, use the ACNE TREATMENT lol. It gets rid of oil AND acne. Also, when using the facial wash, I like to use a washcloth to clean my pores once a week and that works.. Hope I helped! But Clinique’s the best guys! You just gotta get the right stuff! i have been using the 3 step treatment for about two weeks and it completely dried out my face and now my whole right side is all broke out. i wouldnt recommend. I have also changed to use the soap bar rather than the liquid soap. Can you help me at all? Hello! I am an Accredited Clinique Consultant. The first week, it is normal to break out when first using any new treatment. However, after 2 weeks there should be improvement. If not, then you could be in the wrong formula for your skin type. Every consultant at Clinique should “Midday without moisturizer, how does your skin feel? And that’s without treatment.” If dry and tight, #1. If comfy with dryness, #2. If comfy with no dryness, #3. If oily, #4. And that’s via Clinique 3 step system. Hope this helps you ladies. omg! this is happening to me! i’ve only used it for a week or two and i’m breaking out like crazy! I have been using the Turnaround Overnight for about a month. Last night I applied the cream to my face and without thinking about it, I wiped the excess over my lips. Today, my lips are swollen and feel severely chapped. The end of my tongue also feels like it has been burned. Will this go away? I am 45 & trying to find a new skincare regiment. I have oily/combo skin & need something for wrinkles especially in the eye & around the mouth area. I’ve been using the Dramatically Different Moisturizer. Any suggestions on which Clinique products would work best? Hello everyone, when I was in college, I used Clinique and loved it. Truth is I stopped using it because it wasnt in my college budget, just couldn’t afford it. Clinique products do not thin the skin. Ageing, unfortunately does. As we age natural production of collagen, elastin and melanin ( pigment) slows down. Underlying skin damage too is visible as we age. ( eg. sun exposure/damage)This is the connection to Even Better Clinical Dark Spot Corrector. I hope this clears some confusion for you. All Clinique products have an insert ingredient list and also displayed on the outer package. Clinique’s all skin care products are very good.Now i am using clarifying lotion which is suitable for my skin.Now my face looking so good N i m very much satisfied this product.I am really thanks to clinique products. I love this product. It removes my acnes in a blink of an eye! Thank you clinique!Definitely gonna continue using this. Highly recommended! I have been using Clinique for a few years now. Sometimes I try something different, but I always go back. Even my boyfriend says my skin always looks best when I use Clinique. Sometimes I read about women who get break outs using this stuff, I think that’s because they are using products for the wrong skin type. Once I accidentally used the 3 step system for oily skin, while my skin is normal. When I used those products my skin became greasy and almost exploded. After a few weeks of using Clinique my face broke out. I was then introduced to Mary Kay Timewise Collection and fell in love! I just began using Clinique again but this time the Dark Spot Corrector and Protector. I use the mild clarifying lotion for delicate skin as the regular ones make my skin red and irritated. I use the DDML+ as well as the Age Defense for men. My skin is much better and seems to have improved significantly. Isn’t the Comfort Crème cleanser the best! I just ordered my second one. I love this creamy cleanser. My skin has never felt so good and soft after cleansing. I have some Rosacea and it is so gentle on my skin. I also use the Redness Solutions liquid makeup and it really makes the red in my cheeks disappear on contact! Would highly recommend these two products. I started using Clinique about 2 months ago. It was okay for about a month then my skin got very dry, red, sore and it started peeling. I also started breaking out frequently. Then one night I was using the 7 day scrub and a huge piece of my skin lifted up off of my nose. It bled like crazy and scabbed over a few days later. I then started putting the Clinique moisturiser on it. Few days later it got very angry looking so I went to the beautician. When I told her I was using Clinique she compared it to paint stripper. The scab was infected and the infection was spreading under my skin towards my eye sockets. Antibiotics were needed and the only thing that could bring my skin back was Yon Ka. Amazing brand. A little pricy but well worth it! I’ve tried everything, from proactiv to dermatologist recommended pills.. I don’t have horrible acne just a few here and there and my skin is very dry. I hardly wear make up and use recommended creams by my dermatologist as well as eating healthier! Every product I’ve tried for the last 11 years has done nothing for me, personally. I ordered Clinique 3 step system today 1-3-2014. In hopes that I find what ive been looking for, I also have a lot of acne scars, I’m light skinned so I was wondering if you had any recommendations on which Clinique product to try ? I really appreciate it! I recently started using Cliniquue Dark Spot Corrector and I can see a result. Prior to using this product I has prescription strength retinol but it didn’t do much for my facial spots. Everytime my face peeled (this happened once or twice per week) it looked like the product was about to work but in the end the spots would come straight back. I use Clinique Moisture Surge as the second step and love this product. I was reluctant to spend hundreds of dollars on skin care products but after using Clinique for almost a year I have noticed all of my acne is just about gone. I was using Proactiv before but it just made everything worse. Clinique are way better products. I used the 3-step system for more than a year and found it really drying for my combination skin. I’ve heard that Clinique products are very harsh on the skin and after experiencing it I would have to agree. The moisturizer is alright but both the cleanser and toner are drying prob due to the really high alcohol content. Also, I noticed most, if not ALL the beauty consultants at Clinique have sun spots on their cheeks! I went to several malls and all of them had the same dark and ginormous sunspots! It scared me I immediately stopped using their stuff eventhough I just replenished my 3-step system back then. Their All About Eye cream gave me milia seeds (oil seeds) as well when I had none. It does reduce the appearance of dark circles, however I recommend sleeping it off and looking naturally fresh instead of depending on the eye cream because the milia seeds are simply not worth it. The Super City Block is super oily and makes the face really heavy. I noticed it also enlarges the pores during usage. There are plenty of cheaper alternatives that work better. Clinique products are backed by the wonderful team at Estee Lauder. The only difference is they do not contain fragrance and are more suitable for sensitive skin types. : Clinique RepairWear Laser Focus is quite a powerful product in the range and I did notice a result but their moisturizers are also very good. I think most girls in the US have tried at least 1 or 2 Clinique products. Great products. I especially like clinique Repairwear Laser Focus and Moisture Surge. I was actually doing a facial the other day and when I told my specialist that I’d started using Clinique, she actually hissed, and then went on explaining that the only thing Clinique really did was make my skin more sensitive. So if I ever used any other brand, I would immediately have break-outs. Which I did, and I’m not lying when I say that my entire face looks like a star constellation; and not in a pretty way. I can most certainly say that Clinique’s Anti-Blemish ruined my face. I am using Clinique Repairwear Laser Focus and Clinique Repairwear Uplifting Serum. I like Clinique products as they are clinical but what I hate is when they make these products you get hooked on and them replacing them with something that doesn’t work as well a few years later. I don’t know how that works from a business sense but I imagine most people would be annoyed and switch brands. I have been using Clinique moizturizer lotion since I was 17 and this is the first time I have written a review about the results I have seen. I started with the three piece kit system but I prefer the lotion over the toner so I stick with buying individual skin care products. The yellow moisturizer is the best moisturizer I have ever found. It works very well. It is called dramatically different. I want to try the repair wear but I do not have signs of aging yet and hopefully I wont for a while. I buy my products from Nordstrom but considering buying online from Sephora because they offer free delivery. I am not sure of what term term effects to expect from skin care but I like using it as my night time moisturizer the Repairwear Laser Focus moisturizing cream. This product is great for winkles and superficial aging. Clinique products are loved by my skin and I can see the difference each morning in the mirror. Hi, I REALLY love Cliniques Supercity Block Sheer SPF 25. I have been using it since I was 17 (and alternate with another moisturising SPF product from another brand) I especially use it every time I wear makeup during the day. It not only has a lightweight feel that’s comfortable for most sensitive skin types except very dry but it can be used over antioxidant-laden moisturisers or serums or if you’re excessively oily, alone. It is opthamologist-tested so it’s safer to use around the eye contour area (again test its ok first, as allergies are individual) which seems to show lines faster than anywhere else.It also contains not only sun protection but most importantly it is paired with antioxidants as well which will help neutralize some of the free radical damage generated but sun exposure/environmental aggressors. It also helps to absorb some excess oil for a couple of hours so my makeup seems to stay on longer without excessive shine. I have tried the MILD clarifying lotion which is alcohol free and also still gently exfoliates whilst aiding your skin with anti-irritants, it also has a perfect PH balance to aid gentle exfoliation using salicylic acid which is probably better for drier or more sensitive skins but can be used for all skin types. It also is Alcohol-free, another bonus. It leaves my skin feeling comfortable, never taut or dry. Generally sticking to the mildest yet effective cleansing and toning products in their range is best. Also I recommend that after shaving avoid the use of any exfoliating products (as their toner is also quite astringent) and just simply use a post shave balm or healer and if you’re going to get sun exposure, appropriate Sun protection product. Shaving already exfoliates the skin you’ve shaved and so may be prone to more sensitivity and irritation. Also it is not generally recommended to use an exfoliating scrub on active pimples as it can irritate them further. I don’t know if a Clinique consultant told you this when you purchased the Acne Solutions Cleanser but it’s designed only to clean your skin when its free of makeup, I was recommended to use either a good makeup wipe or makeup remover before hand. If you’re oily I recommend trying their Rinse Off Foaming cleanser beforehand or if you’re normal to dry their Take the Day off Cleansing Balm which is actually oil-free IF you want to stick with the brand. hope this Helps you. I just tried the new Clinqiue Repairwear Uplifting Firming Cream with SPF and this seems to work. It helps tighten the skin a little so it looks like you have less fine lines and just tighter altogether. I love Clinique products and have also been using their 3 piece system for 19 years and I havent gone a day without it. I prefer using a clinical brand instead of something that contains too many fragrances. I wanted to write this review on Clinique becuse I started using Clinique Acne solutions because I suffer from Acne and didnt get anywhere with Proactiv, the products seem to work much better. The only problem I have is that the cleanser does not seem to remove make up and leaves the skin feeling to oily afterwards. The lotion is much better and seems to work well for my skin type. I want to try their bb cream or tinted moisturizer later on. I also wanted to try the Clinique dark spot an exfoliating scrub cream for acne scars? Do you have product recommendations apart from Clinique? I have dry skin and also suffer from wrinkles. I also hormonal breakout problem mid cycle. I’ve used Clinique Acne Solutions but it did little for my breakouts. I want to know what ingredients they contain in their products to see if it is good value or bad value. I would also like to try other Clinique lotions and creams but I want to see more reviews first. I am now using Clinique Even Better, Dark Spot Corrector, All About Eyes and RepairWear and will let you know how I go.